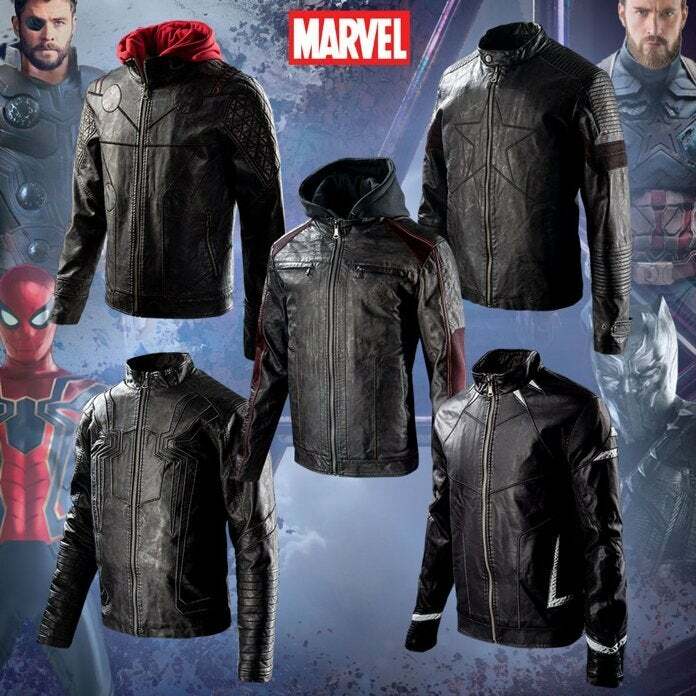 Marvel's official Spider-Man / Iron Spider cosplay hoodie was first released for Avengers: Infinity War last year, but you can save a few bucks on it in time for the premiere of Avengers: Endgame on April 26th. 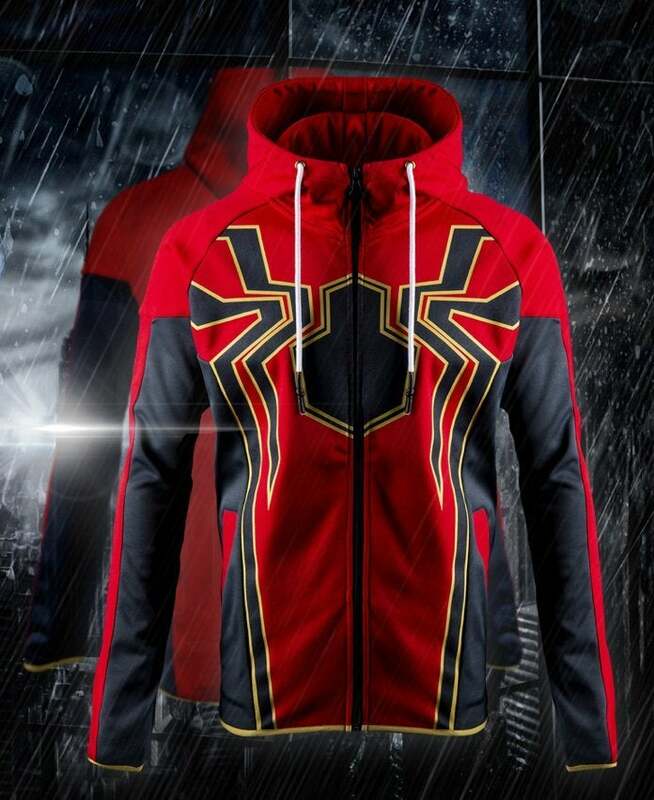 Granted, Spider-Man perished in Thanos' Snap, but you can wear the Iron Spider hoodie in hopes that he's brought back to life for the final battle. You can get the Iron Spider hoodie right here in sizes S to XXL for $52.99 (10% off) with free shipping, which is a pretty fantastic price for a hoodie of this quality (check out the close-up photos on the product page). Quantities are limited apparently, so grab one in your size while you can. On a related note, Marvel recently launched a Avengers hoodie that commemorates the end of Phase Three of the Marvel Cinematic Universe. The hoodie is available to pre-order right here for $58.99 with free shipping in sizes S to XXXL. It is expected to arrive in August. Again, make sure to check out the close-up images on the product page, because they really highlight the textures and embroidery that make the hoodie pop. 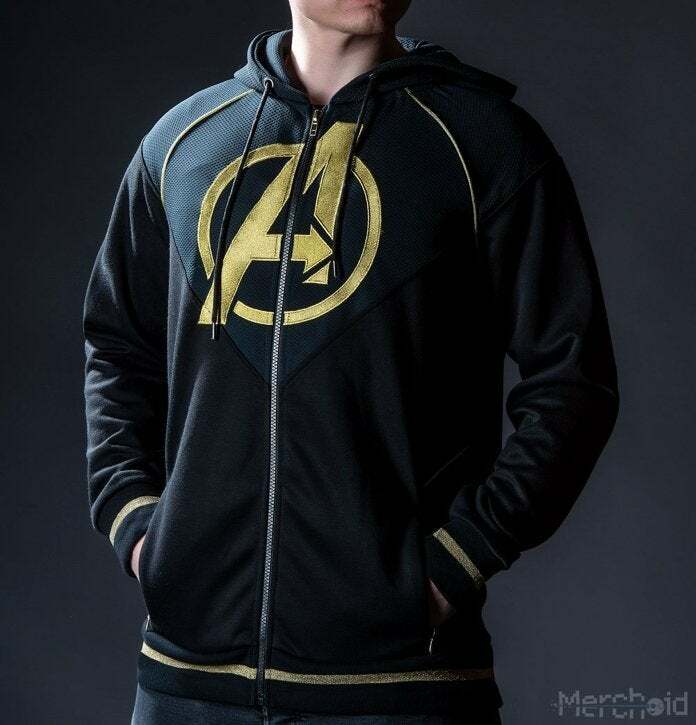 Note that this Avengers hoodie design is a limited edition of 3000 units. Finally, Marvel and Merchoid recently unveiled a collection of limited edition Avengers jackets, and there's still time to get a pre-order in for your favorite design. Keep in mind that only 1,963 units of each jacket will be produced in honor of the year that the first Avengers comic was released. "After the devastating events of Avengers: Infinity War (2018), the universe is in ruins due to the efforts of the Mad Titan, Thanos. With the help of remaining allies, the Avengers must assemble once more in order to undo Thanos' actions and restore order to the universe once and for all, no matter what consequences may be in store."